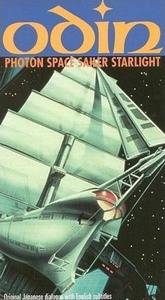 In 2099, a space vessel named Starlight voyages to the far reaches of the galaxy. Equipped with experimental technology, the craft finds a girl stranded in a dilapidated ship drifting in blackness. The Starlight crew saves her and discovers the girl has a gift for understanding alien artifacts. She speaks of the legendary realm of Odin -- the cradle of life itself. Young crew members forcibly assume control of the ship and steer it toward Odin. The adventure seekers do not realize something dire: the paradisiacal world is enclosed in a perimeter of automated protectors programmed to keep out the curious at all costs.